Born right here in Australia, Sir Walter Buffalo Lawn was bred to be tough yet soft, and good looking to boot! Since 1997 there has been over 60 million metres of Sir Walter Buffalo Lawn sold Australia wide – the equivalent to 450,000 homes. Buffalo lawns are more shade tolerant than other varieties because of its broad leaves which photosynthesise well. Among the Buffalo varieties, DNA Certified Sir Walter is among the very best performers in shady areas and can thrive with as little as three hours of sunlight per day. Sir Walter’s roots grow deep into the subsoil gathering the moisture and helping it deal with hot weather better than other varieties. A Sir Walter lawn can reduce the heat generated from the sun by up to 10 degrees! Gone will be the days of playing that game of backyard footy and ending up with a knee full of bindii, or diving for that superb catch only to finish with a mouthful of dirt. Sir Walter is low-allergenic, and this means a few things. For one, the leaf blades are ‘soft’ and smooth unlike the Buffalo varieties of old, which used to make you itch after coming into contact with your skin. When you look at the blades of old buffalo varieties under a microscope, you can actually see the jagged edges of the leaf blades. Do you suffer from hay fever? Sir Walter Buffalo is a low allergy alternative to many other turfs that has substantially less pollen, and this is the second definition of low-allergenic. Choosing Sir Walter can take your spring and summer from ‘sneezy’ to easy! Sir Walter Buffalo Lawn has a tight growth habit holds out most weeds and the ability to repair itself quickly if damaged lessening the incidence of bare patches. You’ll also find that mowing now becomes less of a chore, as the finished result will amaze you every time. Unlike Kikuyu, which will send runners all through your garden beds, Sir Walter Buffalo is non-invasive. In late 2015, Lawn Solutions Australia (LSA), commenced an extensive DNA testing process with its members to further ensure the Sir Walter Buffalo Lawn that is produced and sold by LSA members (such as Down South Turf) is the genuine, high quality turf product which Australians know and trust. Your purchase of Sir Walter will also be covered by our nationwide 10 Year Product Warranty. Contact your accredited Lawn Solutions Australia turf supplier now to find out how quickly you can enjoy a brand new Sir Walter Lawn. Traditionally Buffalo grass was slow to establish, gave Aussie kids annoying rashes and suffered poor colour retention – yet despite this it remains a popular choice in Australia because of its heat tolerance and low water consumption. As Australian homes became larger grasses had to deal with shade and extreme heat at the same time. Shademaster, the first soft leaf buffalo grass, revitalised the lawn market and paved the way for locally engineered turf products. The future arrived in 1996 with the arrival of a grass that was more resilient to disease, pests and fungus than other grasses. It was drought resistant, thrived in shade and sun and stayed green and lush throughout the year. It was called Sir Walter. Sir Walter Buffalo was developed by Brent Redman of the Hunter Valley with the Australian climate and lifestyle in mind. 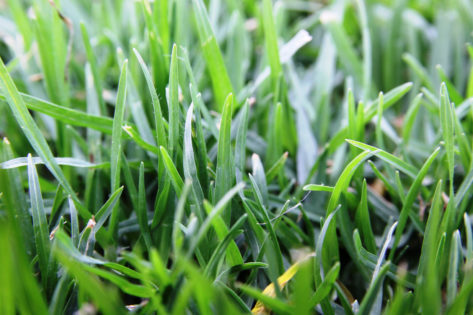 Needing less watering, spraying and general lawn maintenance, Sir Walter Buffalo grass stands out from the competition with its resilience and softness. Sir Walter Buffalo Lawn continues to thrive even after extensive testing, thousands of lawn installations and some of the harshest weather conditions to date. Sir Walter has shrugged off humidity related funguses, extreme water restrictions, shade, insects, lawn grubs and weeds where other varieties wouldn’t have stood a chance. 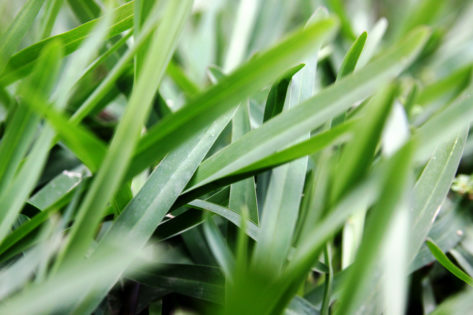 Sir Walter Buffalo Lawn is a hard-wearing, but beautiful soft leafed buffalo and it remains Australia’s number 1 choice! Download your free Sir Walter interactive pdf now! Give Down South Turf a call on 9753 3282 today to order your freshly cut Sir Walter turf today.